Service After The Sale – Is It There? One of the most important things to consider when deciding which Commercial Host Site to use for your business in establishing its Internet Presence is SERVICE. While this may sound obvious, many very smart business professionals forget to cover the basics of “due diligence” when choosing a Host Site and/or website designer and end up not only unhappy, but in many cases, out a great deal of money in the process. There are some relatively easy ways to determine if a prospective Designer or Host Site truly offers superior service during AND after the sale. There are no real shortcuts that can be taken unless you are fortunate enough to be able to get a rock-solid recommendation from a friend or business associate. This only counts if they are currently using that Host Site, are pleased with their service, and the results. With a recommendation that you can rely upon, your task is much simpler, and less time consuming. Most businesses do not have the time to research properly, and will simply take the word of the Host Site operator or designer at face value. Everyone in that business will tell you that they are the best, will take great care of you, make you look superior on the Web, will save you money, etc. 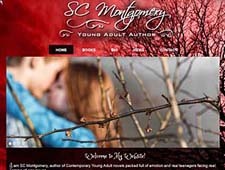 This being the case, and since it is becoming increasing common that the proliferation of unprofessional, uncaring, and in many cases downright crooked Host Sites and designers are popping up everywhere, BUYER BEWARE! 1) Service – from the standpoint of helpfulness and input to the client during the initial process of consultations, gathering information, graphics etc. to design the website so it can achieve the goals you want on the Web. If a Host Site is not helpful from the get-go, BEWARE! 2) Making sure that the image your website projects is positive, professional, effective and most importantly user-friendly! If you receive complaints, or, ask for and get, a lot of negative feedback from clients and associates etc., something needs to be changed, and quickly. 3) Service – in taking care of all the details that website designers and Host Sites SHOULD be knowledgeable in, but many are not. An example of this is the proper and effective and correct use of META tags, ALT tags, TITLE tags, Headline tags, text layout and content and the submission process to Search Engines – collectively referred to in part as “SEO” – SEO Austin. If these thing are done correctly, it will greatly enhance the ease with which your Website can be located by those using a Search Engine. If they are NOT used correctly, it can hurt your chances tremendously. There are other items involved with ranking, but you must have the right foundation to start. There are other issues to take into consideration to achieve “ranking” in Google, and you need to be sure you are dealing with someone who truly gets results for their clients. It is not cheap to do this, but it is a necessity if you intend to do business on the Net and be found in Google. 4) The results from your Web presence are the measuring stick. If your reason for having a website is an online brochure, then merely looking nice is fine. If however the reason for having it is to generate new leads or sales, and it does NOT generate them, is it due to your business…or to a lack of knowledge and assistance on the part of your Host Site, or a lack of ranking in Google? 5) Service – if there is a problem with the site, is it easy to contact the Host Site and get quick assistance to fix the problem? Are they friendly and knowledgeable so they can offer alternatives to you? Do they answer their email promptly? Do they return your phone calls? If you are being ignored, it is usually due to the fact that they already have your money, a Website has been placed on the Web, and they feel their job is over. I believe that it has just started! A Host Site that has their clients’ interests in mind, will, on an ongoing basis, assist those clients, however they can, so their Web presence is working effectively, and their clients are happy. This can cover things like ongoing changes to the site, information and education for their clients, publicity for the Host Site as well as the businesses that reside there etc. Taking the money, putting up a website and ignoring you thereafter is unprofessional, to say the least. 6) Service – does the Host Site really care about you and want you to succeed on the Web? Do they want you to be so happy with their responsiveness, service, results, etc. so you will not only continue to build your website, but send referrals to them? Do they make changes and updates when requested in a timely manner? If you can answer YES to many of these questions, you most likely have found one of the few Host Sites that know what they are doing and care about their clients. If not, ask your friends, ask your business associates, and if all else fails, check up on a number of Host Sites by contacting directly, at least 3-5 of their existing clients that have been doing business with them for at least 6 months and ASK QUESTIONS about the things I have mentioned previously. With a little “due diligence”, some time spent in asking questions, and a reasonably well thought out plan of action, you can find the right Commercial Host Site that truly offers you an effective Web Presence and SERVICE AFTER THE SALE. If you have any other information that pertains to this report and wish to have it considered for inclusion, please email us. Ad Wizards Internet Services – For businesses small or large! We will create, maintain, and promote your website at a very affordable price. No misrepresentations, just fantastic service by HONEST professionals with integrity. We CARE about our clients! See how your business is currently listed on major directories. Contact us if the info is incorrect. How a small Austin company became a national presence using the web. Our job, in addition to creating clean, user-friendly and search engine friendly websites, is to assist you in growing your business on the Internet. Ad Wizards will create a professional image for your company on the Web while giving you excellent customer service at reasonable prices! 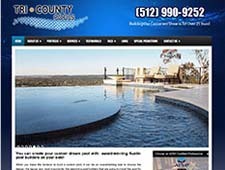 Our design, layout and SEO services, combined with our ranking service is top notch and gets great results for our clients in Austin, and those clients located elsewhere. Copyright © 1996-2019 Ad Wizards. All Rights Reserved.